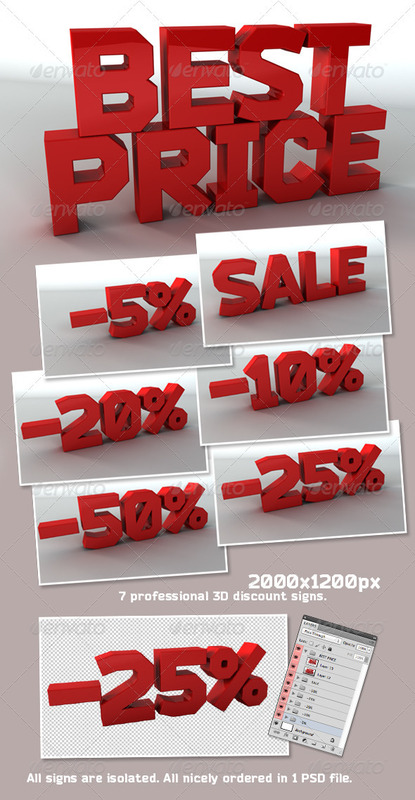 Beautiful realistic 3D discount signs. Including “Best Price” & “Sale” sign. All signs are isolated in additional layer.